Citation: C N Trueman "The Privy Council and Mary’s Claim"
The reply by the Privy Council to Mary’s letter to them outlining why she was the rightful successor to Edward VI was less than enthusiastic. 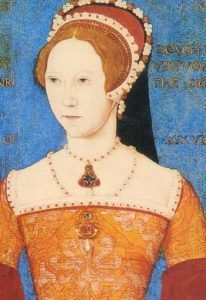 Not only did it support Lady Jane’s right to be queen but it also emphasised that the law had made Mary illegitimate with no right to the throne. It also gave a veiled warning that Mary’s loyalty to Jane was an expectation and that she should be very wary of stirring up support for her cause amongst the people. Madame, we have received your letter the ix of this instant declaring your supposed title which you judge yourself to have; the Imperial Crown of this Realm and all the domains thereunto belonging. Our answer whereof is to advise you forasmuch as our Sovereign Lady Queen Jane is after the death of our Sovereign Lord King Edward VI a prince of most noble memory, invested and possessed with right and just title in the Imperial Crown of this Realm, not only by good order of ancient laws of this realm, but also by your late Sovereign’s Lord’s letters patent signed with his own hand and sealed with the Great Seal of England in the presence of the most part of the nobles and councillors, judges and diverse other grown and sage persons assenting and subscribing unto the same. We must therefore (and of most duty and right we ought to) profess and declare unto you that….forasmuch as diverse divorces made between the King of the most noble memory Henry VIII and the Lady Katherine your mother was necessary to be had, both by the everlasting law of God as also by laws and by the most part of the notable and learned universities of Christendom and confirmed also by the diverse acts of parliament removing it, therefore and thereby you made illegitimate and uninheritable to the Imperial Crown of this Realm and the dominions and possessions of the same. You will upon just consideration thereof and of diverse other causes lawful to be alleged for the same, and for the just inheritance of the right….and godly orders taken by the late King our Sovereign Lord Edward VI, and agreed unto by the noble and great personages aforesaid, cease by your pretence to vex and molest any of our Sovereign lady Queen Jane’s subjects, drawing from them the true faith and allegiance due unto Her Grace. Assuring you that if you will for respect show yourself quit and obedient as you ought, you shall find us all and several ready to do you service that we, with duty, may be glad with you to preserve the common state of this Realm, wherein you may otherwise be grievous unto us to yourself and to them. And thus we bid you most heartily well to fare, from the Tower of London the ix July, your ladyship’s loving friends showing yourself an obedient subject.